Augusta National Golf Club, located in the American city of Augusta, Georgia, is one of the most famous and exclusive golf clubs in the world. Founded by Bobby Jones on the site of a former tree nursery, the club opened for play in January 1933. Since 1934 it has been host of the annual Masters Tournament, one of the four major championships in professional golf. Augusta National is generally regarded as the most revered golf course on the PGA Tour. Since the Masters is held at the same venue every year, fans have the unique opportunity to become familiar with the course, something the other three rotating majors do not afford. The course is well known for its botanic beauty as well. 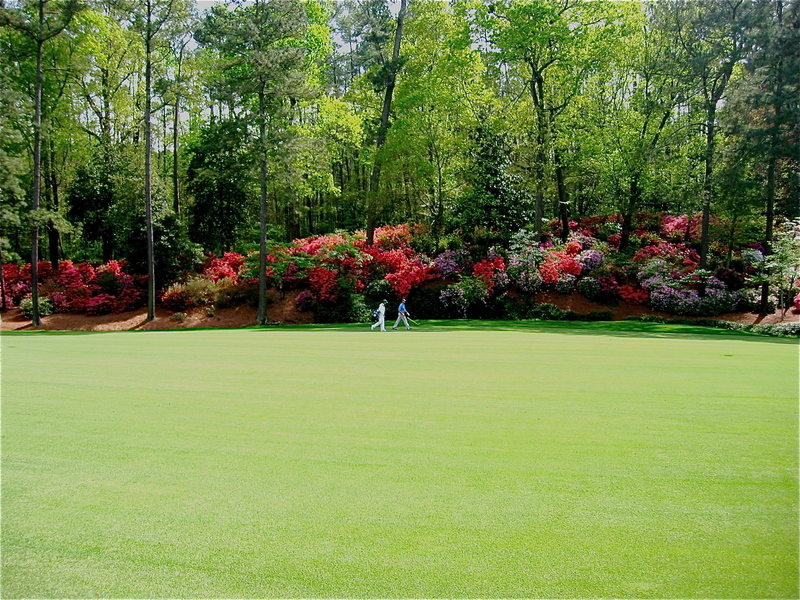 Because the Masters is held the first weekend following the first full week in April, the flowers of the trees and shrubs bordering the course are in full bloom during the tournament. Each hole on the course is named after the tree or shrub with which it has become associated. Unlike almost every other private or public golf course in the United States, Augusta National has apparently never been rated. During the 1990 Masters Tournament, a team of USGA raters organized by Golf Digest evaluated the course and gave it an unofficial rating of 76.2 and a slope of 148. The 11th, 12th, and 13th holes at Augusta were termed "Amen Corner" by author Herbert Warren Wind in a 1958 Sports Illustrated article. Searching for a name for the location where critical action had taken place that year, he borrowed the name from an old jazz recording "Shouting at Amen Corner" by a band under the direction of Milton Mezzrow. In 1958 Arnold Palmer outlasted Ken Venturi for the Green Jacket with heroic escapes at Amen Corner. Amen Corner also played host to prior Masters moments like Byron Nelson's birdie-eagle at 12 and 13 in 1937, and Sam Snead's water save at 12 in 1949 that sparked him to victory. At one point, Augusta National could have been considered amongst the two or three most innovative designs in U.S. golf. The scarcity of bunkers and its width of fairways were in stark contrast to the penal features found on the most revered U.S. courses at that time. However, the many changes from several different architects — including adding bunkers, reducing the green contours, and adding trees and rough — have taken the course away from Bobby Jones' and MacKenzie's inspiration of St Andrews in Scotland. The greens at the Masters were traditionally Bermuda grass. In 1981, they were reconstructed with bent grass, resulting in a significantly faster surface, requiring a reduction in the contours of the greens. Download our Golf Course Guide with Hole by Hole descriptions - or visit them using the drop down menu at the top of the page.